It’s not just mums who can struggle after the arrival of a tiny newborn. Having a baby is a major life changing event for both parents and sometimes Dads can feel left out with all that Mum and baby snuggle time that’s going on. Here’s how to help your partner bond with your precious new arrival so everyone feels included in family time. Skin to skin is important to establish an emotional connection between baby and parent. Whilst Mums often get this as soon as their baby is born, Dad’s are often overlooked in the hustle and bustle of the delivery room. If your husband didn’t get chance in hospital, when you’re relaxing at home, make sure he gets extra close with baby and enjoys some skin to skin time. Talking and singing to your new arrival will help to establish a bond between the two of you. This often comes easier to mums who probably have spent the last 9 months talking to their unborn baby. For Dads however, it may take some getting used to. Remember that baby has spent the last few months hearing their voice as well so he or she will recognise Dad when they speak. A great way to get close to your precious bundle is carrying them in a sling or harness. In the early days the motion of being carried will often soothe baby to sleep and it also provides the added bonus of leaving both hands free so you can get on with some chores. This is a good way for Dad’s to take some of the pressure off mum. Reading a bedtime story to children is a great way to spend time together and also helps gives some structure to bedtime. Reading to a baby, no matter how young helps them to recognise speech rhythms and will give them a head start with vocabulary and language. Getting involved with feeding is the perfect opportunity for Dads to have their own special time with a new arrival and also give mum a rest. Taking charge of night feeds can be a live saver for an exhausted new mother. If mum is breastfeeding, try using expressed milk so baby still gets the same food they’re used to. 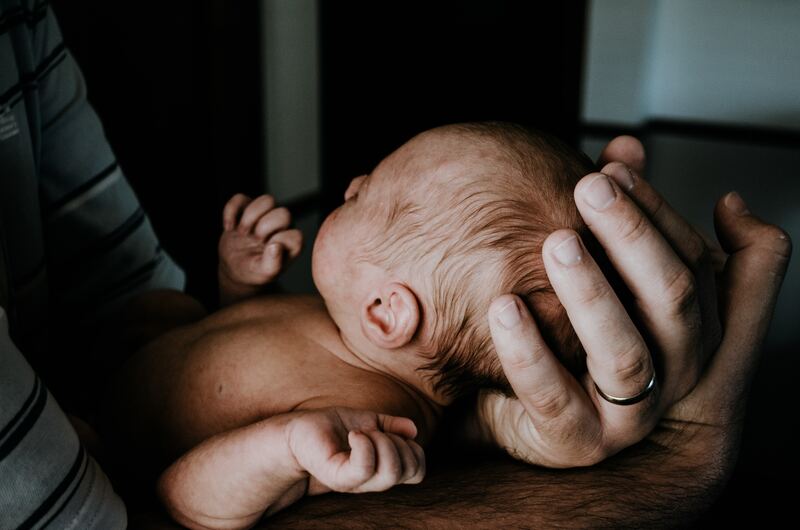 Baby massage has a whole host of benefits for baby and whilst either parent can get involved, this might be something that Dad’s want to take over. Massage can help soothe your baby and has also shown to improve weight gain by aiding digestion, improve circulation and help ease teething pain. Yes, we know, it’s not the most fun of tasks involved in looking after a baby but they have to be done. Dads who do their fair share of nappy changes can have a closer bond with their baby. This is a great time to play games with baby and pull silly faces to try and make him giggle. It won’t be long until he’s laughing along with Dad. Even very tiny babies like to be played with. A newborn will tire very quickly so only a few minutes here and there are needed but the interaction will provide valuable stimulation and create intimacy between baby and Dad. There are so many ways for Dads to feel involved in the early stages. Whilst it may seem like a long time away, before you know it, your baby will be running and jumping around so enjoy these days of holding them in your arms.